It’s been a sensational year for Norway's Sløtface, who recently released their hotly anticipated debut album "Try Not To Freak Out", via Propeller Recordings/Nettwerk. They have shared the clever tech-inspired lyric video for album track "Pools", via Northern Transmissions. Band member Lasse Lokøy who also made the video explains, "The lyrics in the song complain about different things. One thing being how people at shows clap incorrectly to the songs being played, and are unable to follow the general rules given. I thought it would be fun to make the video look like it was made in a message-style, as it’s now telling you (the viewer) all the things people do wrong, and informally telling us how to correct them in a fun way. The whole plot of the video is meant to be ironic, but I do think this is something most people can agree with. It’s easy to recognize ourselves with the messenger (complainer), and harder to take the critic." Check out the video for "Pools" HERE. 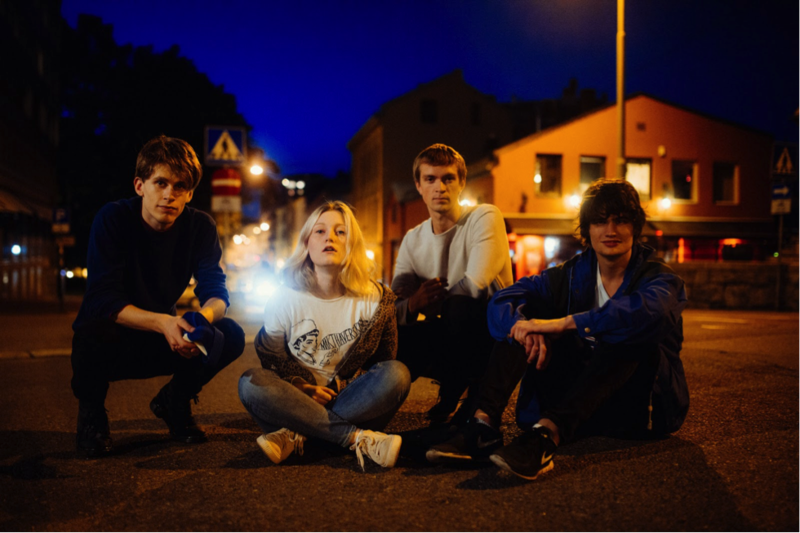 Sløtface will be heading out on tour alongside Hinds and Snail Mail on select dates. Check those out enlisted below.